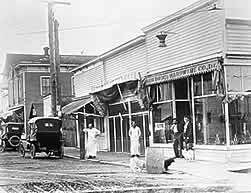 Welcome to Historic Steilacoom, the first incorporated town in the State of Washington (1854). The entire town is on the National Register of Historic Places! This is classic old town America; on the Bay, quaint, quiet, picturesque. Located just minutes from urban areas including Dupont, Tacoma, Fort Lewis, McChord Air Force base, Lakewood, University Place and Pierce College. Our properties are all located in the Steilacoom Historical District on Puget Sound and provide a unique opportunity to live in a small town Americana style. The Steilacoom Center is located downtown. The waterfront properties are the Steilacoom View, Dockside (above the ferry) and Soundview Apartments. 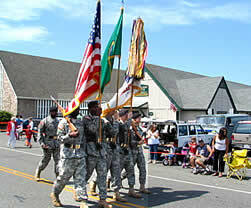 The Town on the Sound is the locale for a variety of hometown events that underscore the meaning of community. For a complete experience of life in this Town, make time to participate in these traditional Americana events. Soldiers and airmen from nearby military installations often comment while attending local events that it's "just like home." The name Steilacoom is derived from a Native American word meaning Pink Flowers and is known as a Place of Firsts in recognition of all the Firsts that were established here in the mid-19th Century. Some of those Washington State Firsts include the First Public Library (1858), the First Jail (1858), the First Courthouse and the First Brewery.